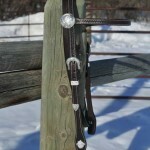 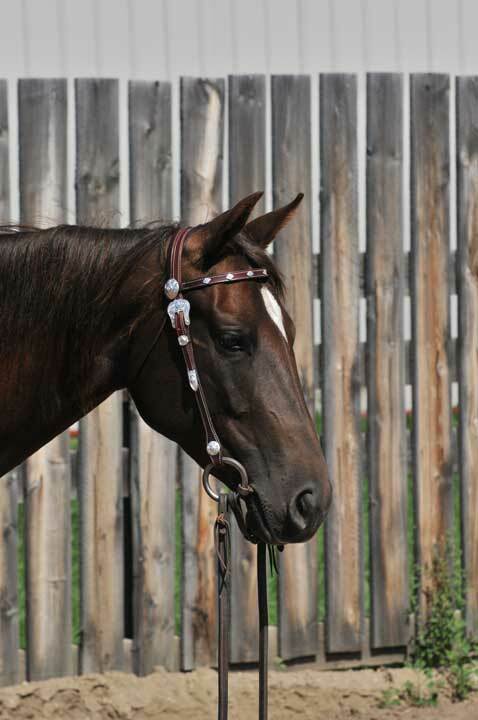 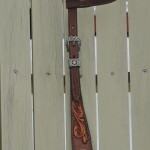 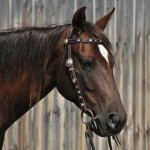 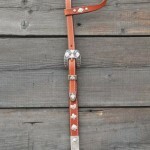 Silver buckles accent this dark leather bridle made from Wickett & Craig leather. 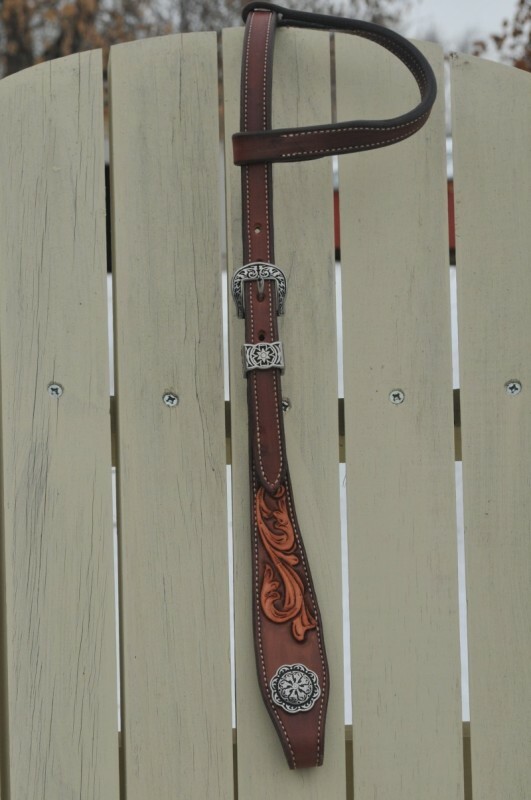 Customer designed and crafted for the NRCHA’s top 30 open rider Dale Clearwater of Hanley Saskatchewan. 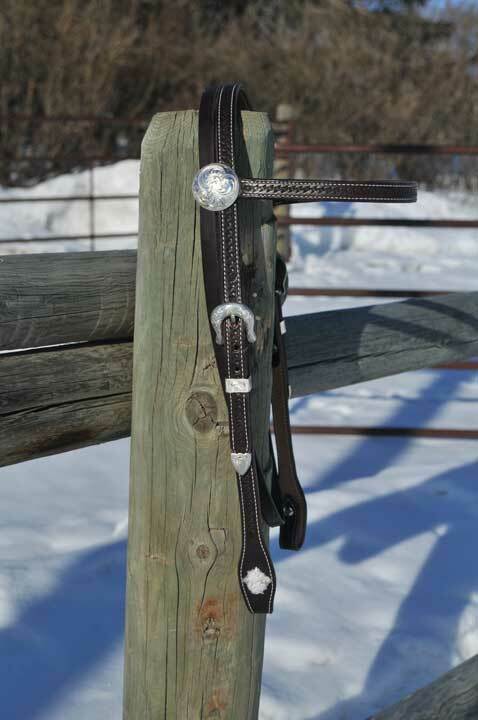 Mahogany bridle with a unique flair – custom light color tooling adds a splash to t he bridle designed specifically for the Canadian Cutting Horse Assoc. 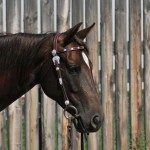 A light leather single ear show bridle with silver tips and buckles was custom designed for Non Pro Cowhorse competitor Darlene Gartner of Beaumont Alberta. 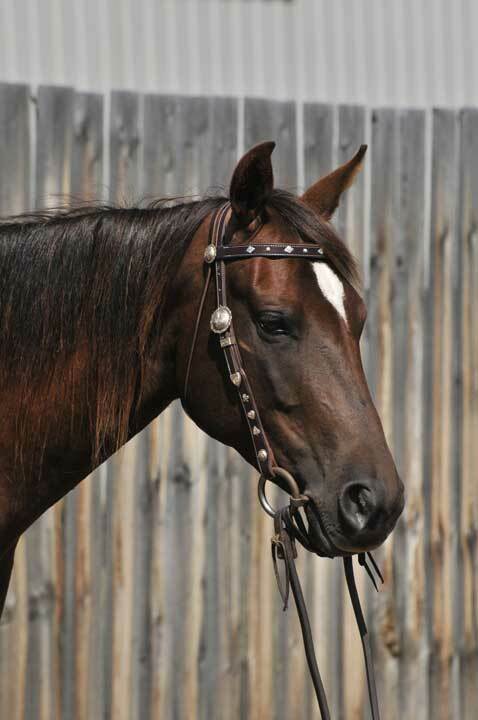 A dark leather bridle with extensive silver buckles, conchos, and accents custom designed for Cowhorse competitor Darren Baumgardner of Spruce Grove Alberta. 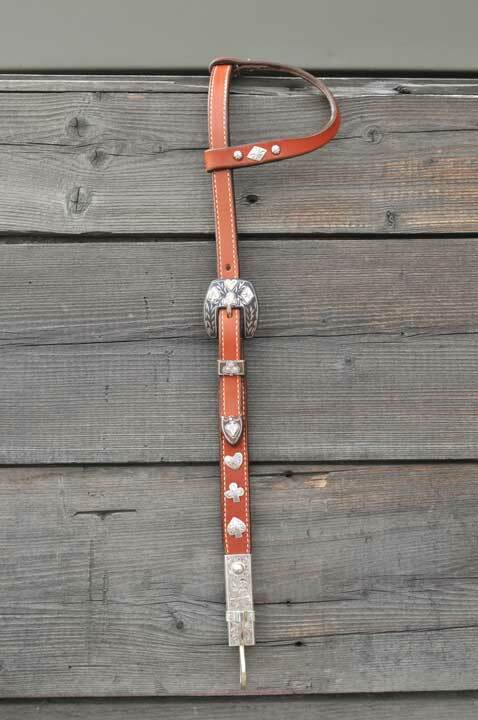 A dark leather halter with extensive silver accents, tips and conchos.